November 22, 2010 - The US Airline Pilots Association (USAPA), representing the pilots of US Airways, on Tuesday picketed Ronald Reagan Washington National Airport to bring attention to what it believes to be US Airways' efforts to take advantage of its pilots, already the lowest-compensated pilot group among the major airlines. Tuesday?s picketing event is a continuation of the pilots' public display of frustration with what USAPA believes to be US Airways management's deliberate efforts to slow the pace of contract negotiations since 2005. In October, US Airways reported a third quarter net profit of $240 million, the highest third quarter net profit in its history. The company has also reported record traffic and leading metrics in on-time performance and customer satisfaction during the last few months. "Our pilots have made significant sacrifices in our salaries, pensions and benefits to help US Airways during its times of need," said Captain Mike Cleary, president of USAPA. Those concessions have left our pilots the lowest paid in our industry. Our reward for investing in this airline and posting leading performance numbers is to remain the lowest-compensated pilots among our peers. By dragging negotiations out for more than five years, US Airways is effectively extending those concessions indefinitely. Considering that US Airways is reporting record profits and 60% increases in management costs since 2006, it is no surprise that our pilots are angry." "We firmly believe that US Airways management is taking advantage of us by abusing the latitude afforded them in the Railway Labor Act (RLA)," added Cleary. "However, under specific circumstances, the RLA also permits job actions. It is important that the public realize that we have always tried to work with US Airways management to seek joint solutions, and we are committed to doing so in our contract negotiations," Cleary continued. "However, after five years of Management?s stalling tactics, we have to consider what is best for our membership. Our negotiating positions are reasonable, and we think that our passengers understand our unwillingness to being taken advantage of. Everyone has their breaking point, and we are prepared to strike as soon as we are legally permitted to do so by the Railway Labor Act." 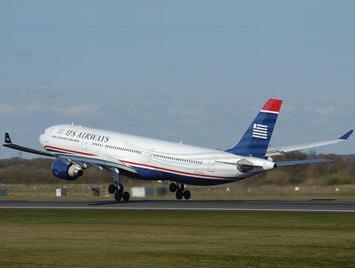 The US Airline Pilots Association (USAPA) represents the more than 5,000 mainline pilots who fly for US Airways. USAPA?s mission is to ensure safe flights for airline passengers by guaranteeing that their lives are in the hands of only the most qualified, competent and well-equipped pilots. USAPA will fight against any practices that may jeopardize its pilots' training, equipment, workplace environment, compensation or work/life balance, or that compromise its pilots' ability to execute the optimal flight.